Petrosoft’s cloud-based retail back-office solution, Retail360, is designed to increase operational efficiencies and speed data entry, reconciliation, and forecasting to optimize sales, margins, inventory turns, shrink, and spoilage. NOTE: Site Integration Network Terminal is required to guarantee secure, real-time access to store data and bidirectional data exchanges to keep pricing, inventory, and loss prevention analytics information up-to-date. Petrosoft’s cloud-based retail back-office solution, Retail360, is designed to increase operational efficiencies and speed data entry, reconciliation, and forecasting to optimize sales, margins, inventory turns, shrink, and spoilage. The solution saves IT costs and data entry time with a centralized price book, reports, and integration with Petrosoft’s Loss Prevention Analytics, POS, and foodservice MTO solutions. It also integrates with POS partners such as Verifone and NCR as well as accounting, manufacturer, and supplier solutions. Retailers can gain control of their business and influence their bottom line with Retail360 which is designed to make an impact where it matters most, in day-to-day retail operations. As a subscription-based solution, customers can access it from any internet-connected device. Discover how Retail360 can improve retail operations while providing a seamless connection to today’s retail ecosystem. Petrosoft offers a platform as well as software, hardware, and services. The company's integration options, technology, and services are designed to take advantage of advances in technology, leverage legacy systems, leverage industry partnerships, address the changes in consumer demand, and enable seamless connections within today's retail ecosystem. 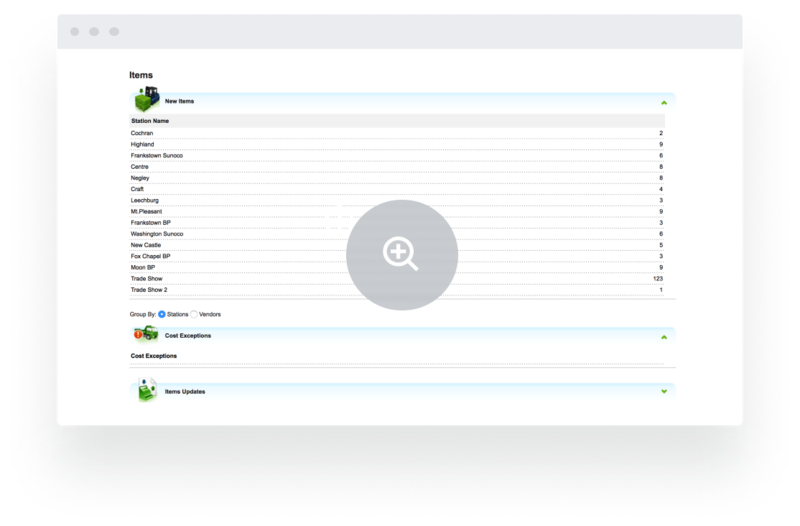 Centralize administration of your price book from within C-Store Office®: set up, add, edit or move items between departments and categories. Make global changes to the price book and manage pricing by price group, custom group, store location or division. 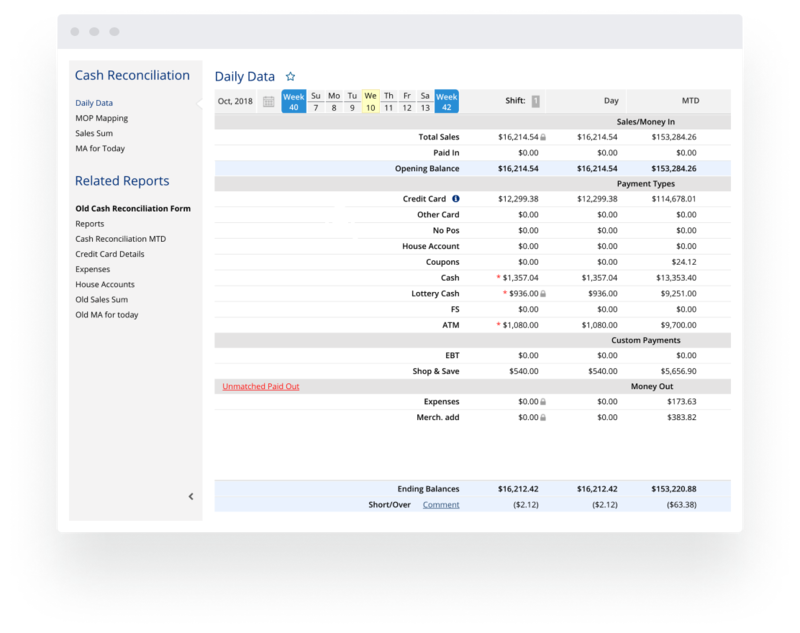 Use the cash reconciliation module to manage cash flow. The operational reports track not only sales, but each method of payment accepted by POS and cash register systems: cash, credit, debit, EBT, check, house account, and other. C-Store Office® lets you set up promotions in advance, set specific time frames, and work with a variety of cash registers that might not support mix and match promotions. C-Store Office® gives you an edge when negotiating promotional costs with vendors. Keep stations from running dry while keeping profits healthy and staying in compliance. 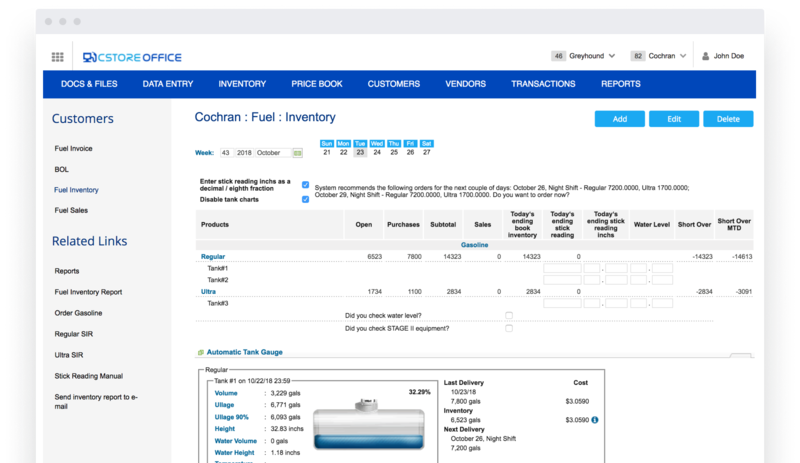 Use C-Store Office® to manage BOLs, invoices, orders, track sales, margins, tank data for SIR and operational decisions. Stay in control of your operations from anywhere and at any time. 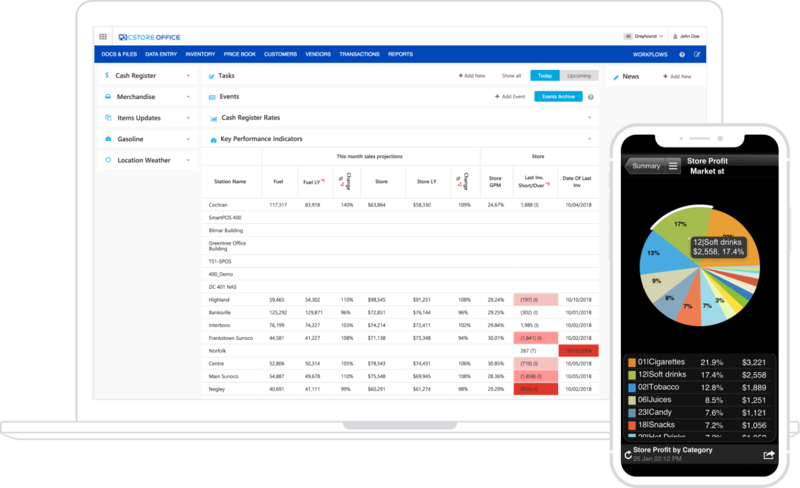 With the C-Store Office® mobile app, you have the right information at the right time, so you see shift reports data, scan in invoices, and check inventory levels that allow you to make better operating decisions. Make sure employees complete their daily tasks, like balancing cash, verifying sales and purchases data, and conducting inventory. C-Store Office® automates operational workflows, so you can do all these at the click of a button.